NewBanking Identity is a platform that easily and securely allows you to collect, verify and store personal information on your customers. Many advanced features are available for business accounts and we enable you to be compliant with the GDPR and AML regulation on a global level. 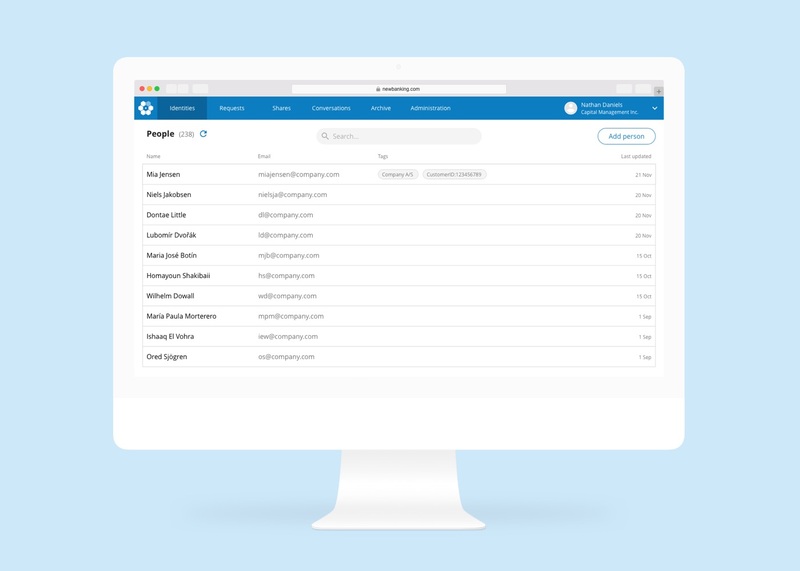 Our platform is enhanced for any regulated organization, but can advantageously be used by any organization that is managing personal information from their customers. Reduce the time and cost you currently spend on managing personal information about customers. Make sure that your company complies with current laws and regulations. Make it easier for your customers to share their information securely with you.